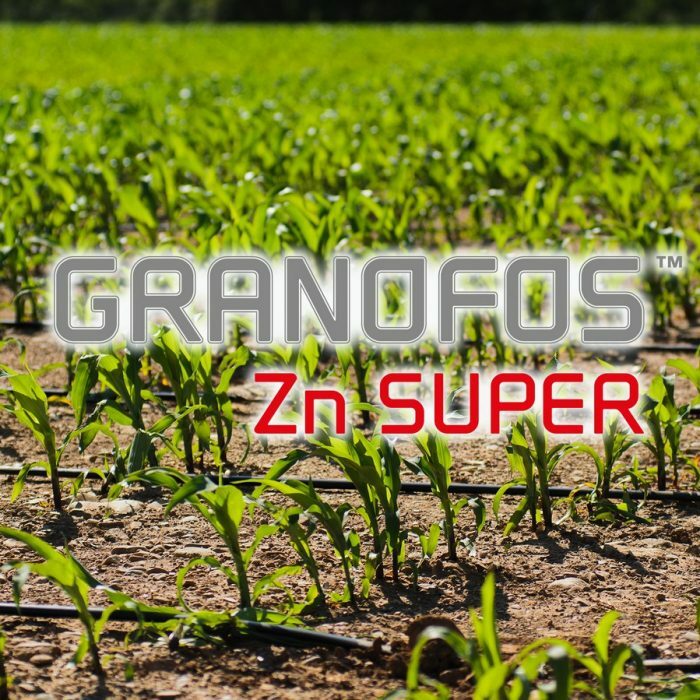 GRANOFOS Zn SUPER is a binary liquid fertilizer, thanks the synergistic action between Ammonia, Phosphorus and Zinc GRANOFOSF SUPER is characterized by an high fertilizer efficiency. The combination of phosphorus and zinc induces more intense roots activity for insure vigorous roots development and allow fast “starter effect”. GRANOFOS Zn SUPER can be used during sowing and crop’s transplantation or by drip irrigation in the beginning crop stages.